CONCACAF Champions League: Trailing Colorado Rapids to cause upset in Toronto? The Rapids seek to instigate a comeback up north after falling to a 2:0 home defeat to Toronto FC last week. Here are two of the best goals scored by Sporting KC's players vs Colorado Rapids on Sunday April 9. Portuguese forward Gerso Fernandes opened his MLS goal-scoring account for Sporting KC vs Colorado Rapids in style. The 26-year-old scored a brilliant counter-attack goal for the hosts as they cruised to a 3-1 win over the vistors on Sunday April 9. Here's a video preview of five youngsters to need to keep an eye on as the 2017 MLS season kicks off on Friday. It is now less than 24 hours to the officially commencement of the 2017 MLS season. There are lots of exciting fixtures lined up starting Friday and we are here to let you know about some of the most promising starlets to keep an eye on. Here's a quick look at what various teams in the MLS are saying ahead of the big kick-off on Friday. Montreal Impact and Toronto make their Conference Championship debut whilst Seattle Sounders take on Colorado on Tuesday, November 22nd. 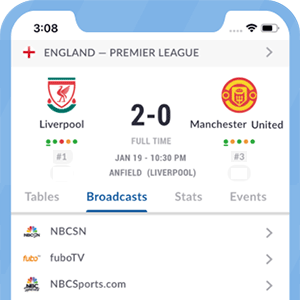 Here's all the info you need to catch both games, courtesy of LiveSoccerTV.com. Who's playing: Both Montreal Impact and Toronto FC will be making their first ever appearance in a Conference Championship - and it's set to be a mouth-watering affair as they clash on Tuesday. Didier Drogba reminded his fans that he is still the free-kick master who dominated the Premier League some few seasons ago. NBCSN’s coverage of Major League Soccer continues with three matches this weekend, beginning Friday at 10 p.m. ET, when third-place Real Salt Lake and USMNT goalkeeper Nick Rimando and midfielder Kyle Beckerman host the Colorado Rapids. Edson Buddle joins the likes of Landon Donovan, Jeff Cunningham and Jaime Moreno in the list of MLS players with 100+ regular season goals. Unfortunately, Burch’s goal wasn’t enough for Colorado as the Galaxy completed a comeback in the 80th minute. The skipper will miss out the rest of the MLS season due to knee injury. MLS fans can tune into NBCSN to catch both the Rapids and Timbers in a Friday evening clash. NBCSN’s Major League Soccer coverage this weekend features the Portland Timbers hosting the Colorado Rapids this Friday, July 18th at 11 p.m. ET. NEW YORK – July 3, 2012 – NBC Sports Network will air an MLS Western Conference game between the #3 Seattle Sounders FC and the #5 Colorado Rapids this Saturday at 11 p.m. ET, live from CenturyLink Field in Seattle, Wash.
NBC Sports Network Coverage Starts at 4 p.m. ET. The Colorado Rapids will play host to the Columbus Crew in an MLS Cup wildcard playoff game on Wednesday night. The winner of this game will travel to face Sporting Kansas City in an MLS Cup quarter-final matchup on Sunday. The Colorado Rapids won their first MLS Cup title with a gritty 2-1 overtime win against FC Dallas. The MLS Cup will crown a new Champion on Sunday night when FC Dallas and Colorado go head to head at BMO Field in Toronto. The Colorado Rapids lifted their first MLS Eastern Conference Championship on Saturday night with a hard fought 1-0 victory over the San Jose Earthquakes. The MLS Eastern Conference final will be played on Saturday night and the participants in the game somewhat guarantee excitement and unpredictability.